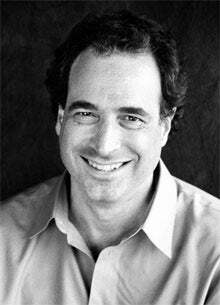 Michael Shuman wouldn't seem likely to be making a business from the farm-to-table movement. A self-described "New York Jewish intellectual" who grew up in suburban Nassau County and earned degrees in law and economics at Stanford, it's hard to imagine him hoeing a single row. Instead, the 55-year-old business-development analyst has become one of America's foremost experts on quantifying the economic benefits of food localization. Alone or with partners, he has completed studies on the subject about Detroit and Cleveland, as well as New Mexico. He's currently immersed in a similar project for Boulder County, Colo., with Baltimore and the state of Florida on the horizon. Shuman also co-authored Community Food Enterprise, a study of successful local food businesses in the U.S. and abroad that was funded, in part, by the Bill and Melinda Gates Foundation. Based outside Washington, D.C., he's currently a principal in Cutting Edge Capital, an Oakland, Calif.-based consulting business. For Shuman, field work means visiting markets and local festivals, then completing dozens of interviews with farmers, processors and restaurateurs before presenting his conclusions. The accumulated research leads to books, such as 2006's The Small Mart Revolution: How Local Businesses Are Beating the Global Competition, which in turn generate some 25 paid speaking engagements annually at conferences and events. Those serve as springboards to more studies. "That's my entrepreneurial strategy," he says. Not only has it positioned him as the go-to analyst for cities and regions looking to understand the economic possibilities of local agriculture and animal husbandry, it also has made his work the engine for genuine change. "I very much like giving communities--particularly those that are struggling economically--ways to improve their well-being," he says. "Most of those that I work with are below-average economically, so they're prepared to try different things." Shuman's findings are often controversial--most notably the idea that economic prosperity hinges on locally owned business serving local markets. It's the opposite of the globalization theme that has dominated mainstream economics for several decades, and is currently driving much of public policy. He doesn't shy away from the fight. "I've found that many economists are incredibly arrogant in their theories and practices," he says. "And I think that most of what they have to offer is pure snake oil. I take some joy in using what was, frankly, a very elite education that I got at Stanford to debunk the quacks out there. Many times I've challenged people to public debates. They don't accept very often."